SneakPeek is a multi-brand lifestyle store that houses some of the most highly sought-after footwear brands from across the globe. 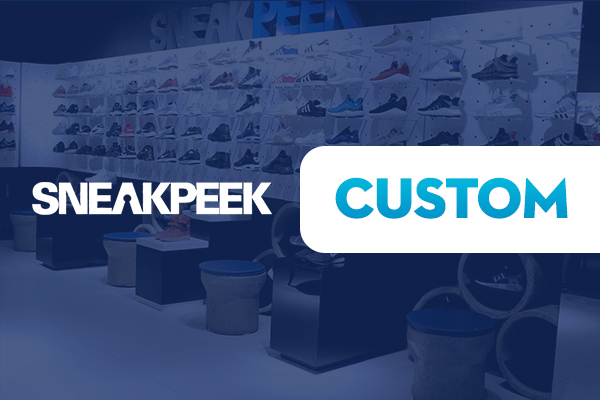 Started in 2013, SneakPeek made its presence in various malls around the country providing convenience to individuals who are in the lookout for mere indulgence on rubber-soled footwear. Carrying top-of-the-line global brands such as Nike, Adidas, and New Balance, SneakPeek presently stands as where one can get not only pairs of shoes but art pieces that come with prestige and ounces of bragging rights, for the store grants access to exclusive designs and brands not easily available elsewhere. Sneakpeek sees itself growing as the top-of-mind option of rebel-at-heart individuals looking for yet another addition in their sneaker collection. This pursuit happens as SneakPeek satisfies the fancies of men and women alike one foot at a time.